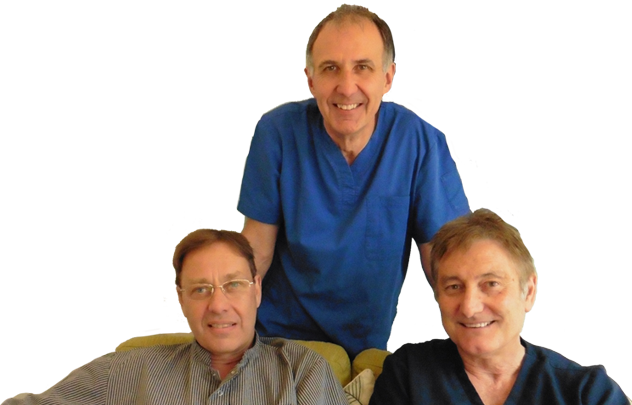 Meet Chris Pottle, the owner and Principal Dentist at the Practice with John Morrison (seated left) and Rob Weavers (right). 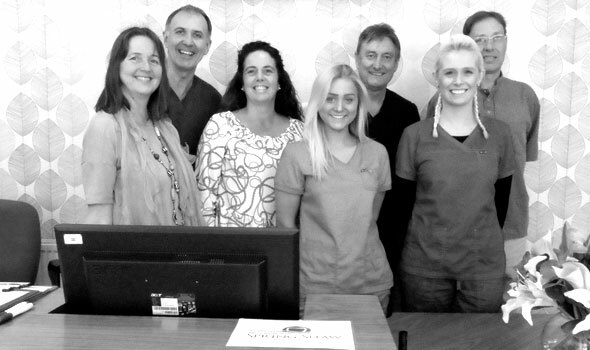 Qualifying in the 80’s, we each have well over 30 years of experience providing dental care for our clients and extend a warm welcome to all new patients plus those we have met at our previous Dental Practices. We all carry out our Dentistry in a gentle and caring manner with the utmost respect for your comfort. 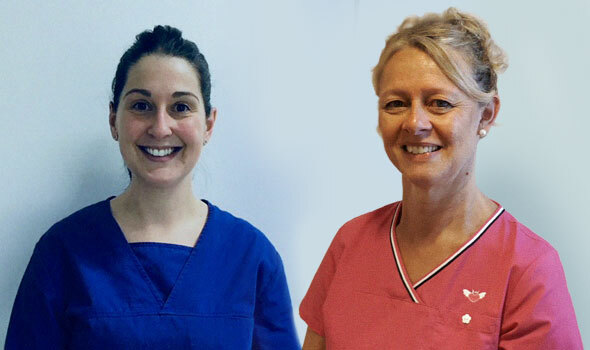 Meet Laura (left) and Jane (right), our skillful and friendly Hygienists. We have a real passion to help you keep your mouth in tiptop condition by removing the plaque and tartar which can damage gums and cause loose teeth. Both of us have many years of experience and are more than happy to offer advice on all aspects of your dental health. Along with Jan Pottle, our Practice Manager, Amanda on Reception, plus Robyn and Sara our Nurses, we form a united team dedicated to helping all our patients, achieve the very best Oral Health. We are always happy to explain, in detail, any Treatment Plan we propose and are always open to your comments and feedback so we can continually improve our service to you. We reserve appointments every day for emergency dental treatments. So if you are in pain, have lost a filling or have any other emergency that needs immediate attention, please get in touch. We offer a method of tooth whitening called 'Home Whitening'. We have found from past experience that this gives the best and most long-lasting results. We're closedWe are open today: 08:30 - 17:30.